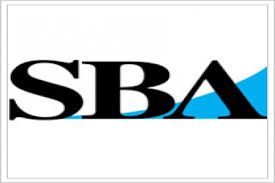 The U.S Small Business Administration (SBA) is looking to serve small business owners as they look for ways to access capital. Earlier this year, the SBA implemented a new measure to help get small business loans into the hands of veterans. To continue supporting America’s veterans, the SBA Veterans Advantage reduces the up-front guaranty fee from 3% to 0% for SBA Express loans over $150,000 approved to small businesses owned by qualified veterans. The SBA has implemented this measure in order to encourage greater participation in SBA lending programs with a direct benefit to veteran-owned small businesses. This measure set the borrower upfront fee to zero for all veteran loans authorized under the SBA Express program (up to $350,000) which accounts for 73 percent of these loans. The initiative started on January 1st, and will continue through the end of the fiscal year. This change makes loans more affordable for borrowers. Again, this policy announcement means that under the SBA Express program, veteran borrowers will no longer have to pay any upfront fee for any loan up to $350,000. SBA provides veterans access to business counseling and training, capital and business development opportunities through government contracts. In FY 2013, SBA supported $1.86 billion in loans for 3,094 veteran-owned small businesses. And since 2009, the dollar amount of SBA lending support to veteran-owned firms has nearly doubled. 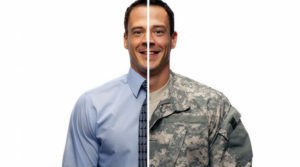 Businesses must be 51% or more owned and controlled by an individual or individuals in one or more of the following groups: Veterans (other than dishonorably discharged); Service-Disabled Veterans; Active Duty Military service member participating in the military’s Transition Assistance Program (TAP); Reservists and National Guard Members; or the Current spouse of any Veteran, Active Duty service member, or any Reservist or National Guard member; or widowed spouse of a service member who died while in service or of a service-connected disability.